Starting Friday the 15th of November, the beautiful bougainvillea-lined street in the heart of old town will begin the 2013-2014 tourist season with a night filled with music and friends. The always bustling street transforms into a sensory delight from 6:00 to 10:00 pm when you will find musicians wandering up and down the street while 18 businesses offer beverages along with a festive shopping environment. The South Side Shuffle takes place every other Friday through April 4th, so don't miss it!! Gena Guarniere was born and raised in the family businesses - "Pizza Joe" Italian restaurant and "Galleria Dante". During her second year at University "UBC" in Vancouver, British Columbia, she took "Wine Science" to complete her Science credit. It changed her life. Growing up in an Italian family, surrounded by art and after numerous summers in Italy, she had never developed a taste for wine. With her interest peaked, and a new found love of wine, she took more wine classes. After studying wine theory and tasting hundreds of bottles of wine, she dreamed of how to work in the business. With jobs being scarce, the idea of moving home to open a wine bar became a reality. In all her wine classes, very little emphasis was put on Mexican wines. One thing Gena discovered on her return to Vallarta was the number of great Mexican wines available. So the idea started to form - focus on Mexican and Latin American wines, in an old Hacienda, surrounded by some of the finest Artists in Mexico. As her love for Mexican wine grew so did her desire to make people aware of these wines. Di Vino Dante focuses primarily on Mexican Wine, and Gena is enthusiastic to introduce and educate people of these fine wines. 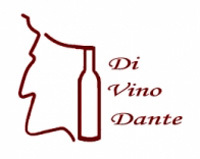 Visit Di Vino Dante at Galleria Dante, Basilio Badillo 269, open 4:00-11:00 om Monday thru Saturday. Email is info.divinodante@gmail.com and telephone is (322) 223-3734. A consignment store of high end furniture, antiques, lamps, home decor and art! Many people moving to Vallarta often find the items left in the villas they purchased are not to their liking. Others are moving and cannot take their fine collectables with them. Sometimes we bring our treasures with us and then find there is no room for all of them in our new home. Whatever your story, we have some amazing finds at D & B Divine Treasures. D & B Divine Treasures is located at Constitución 325 in Old Town Vallarta, currently open by appointment only (inquiries at Galleria Dante). Telephones are (322) 175-3088 or 222-2477. Join Galleria Dante and the South Side Shuffle on Basilio Badillo in Old Town Vallarta every other Friday beginning November 15.